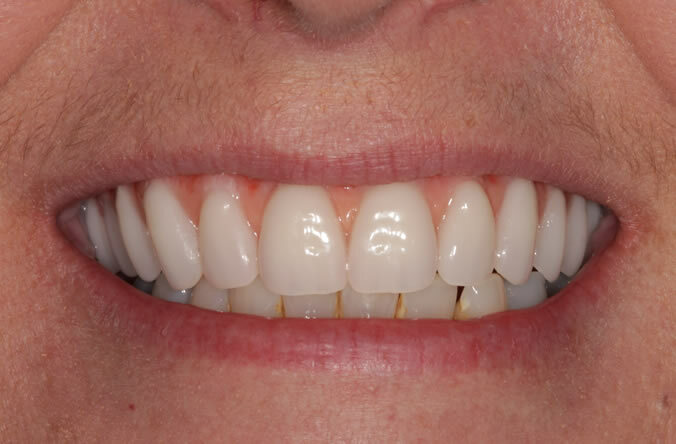 Implants are a revolutionary and advanced technique for replacing missing teeth or anchoring dentures in place. Simply put, an implant is a high-tech artificial replacement for a tooth’s root that is made from titanium- one of the strongest and lightest metals in existence. 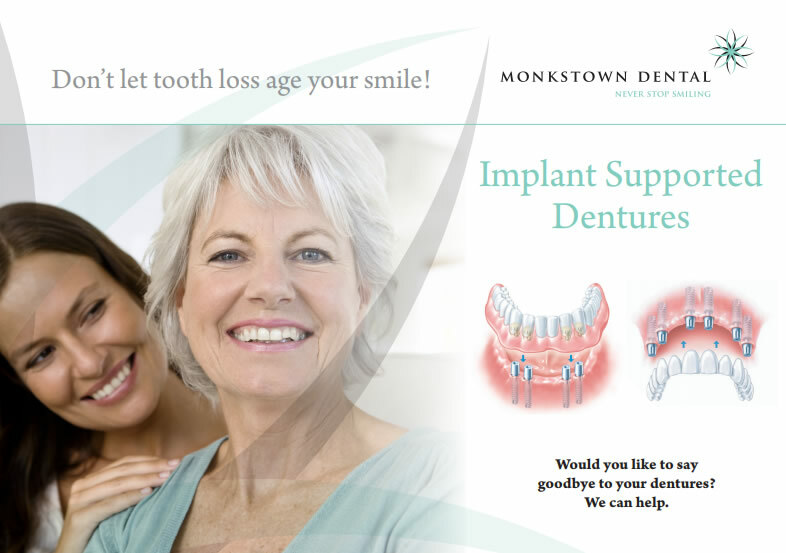 The implant offers a more natural appearance, convenient maintenance and a long life of service. 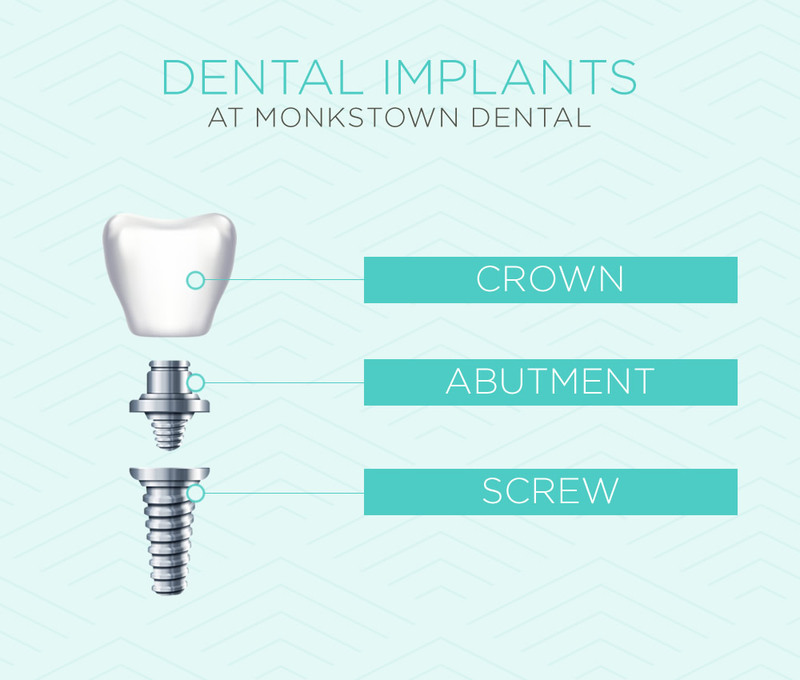 Implants are basically a titanium screw which integrates with the jaw bone to produce a solid and secure foundation for crowns, bridges or precision attachments which hold dentures firmly in place. 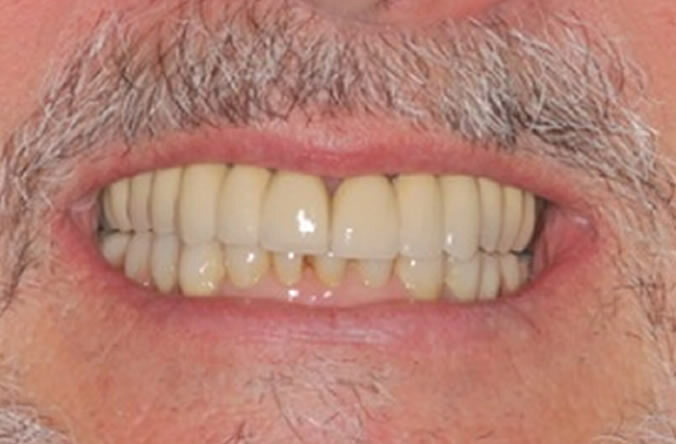 This new and advanced technique has proven popular with patients wanting an alternative to dentures with less bother. But before any work is carried out, you will have an initial consultation to ensure your mouth and jaw are strong and healthy. Once the titanium rod screw has been placed, we allow the jaw bone to heal around it (osseointegration) for a period lasting roughly 3 months. 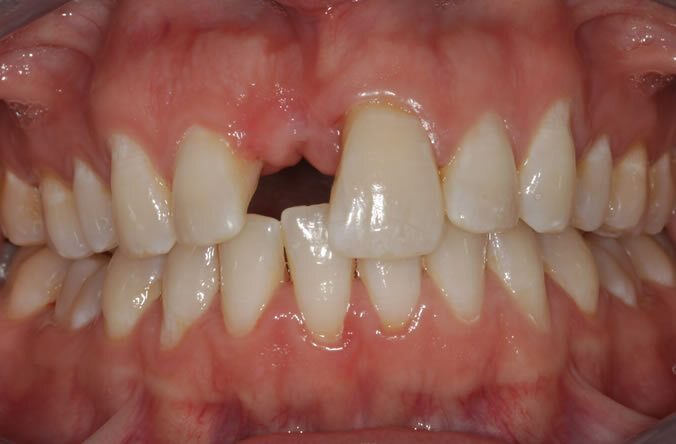 During this time of integration, you’ll normally wear a temporary tooth or teeth to fill the gap. 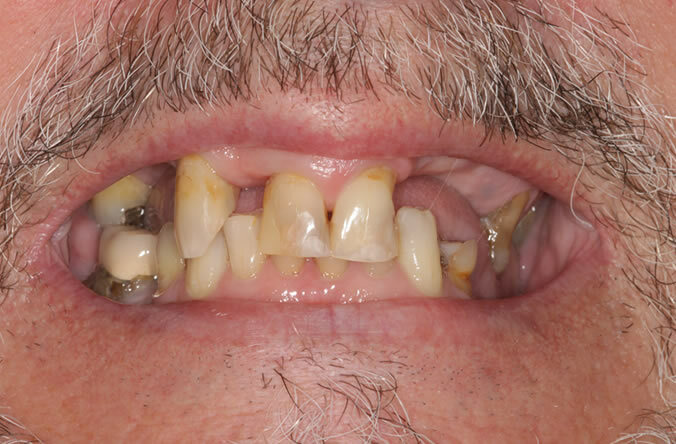 Once the screw is fully integrated the implant is fitted with a single crown, bridge or removable denture. 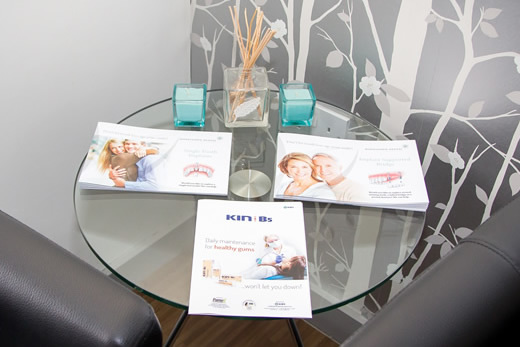 Caring for you dental implants is easier than looking after some traditional appliance and dentures. 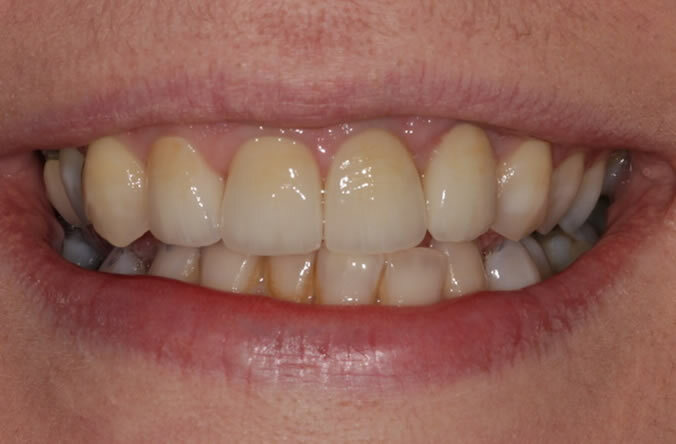 In fact, maintaining them is much the same as looking after your own natural teeth. 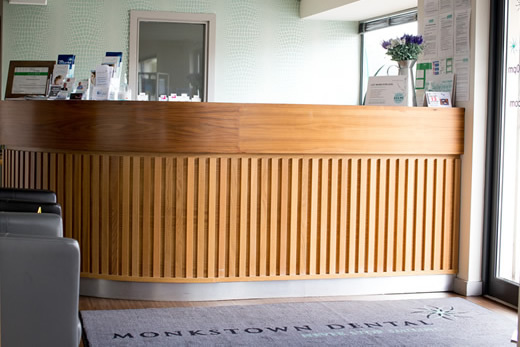 However, though the implant itself is durable and not subjected to decay and erosion, the area around it is so it’s important to continue seeing your dentist on a regular basis to remove plaque or any other bacteria. Revolutionary teeth in a day! 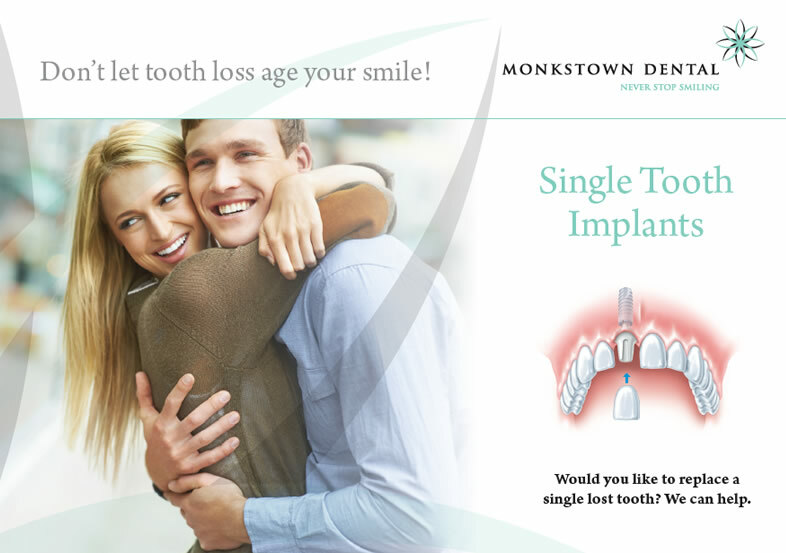 Dental implants can be used to secure teeth, right from day one. 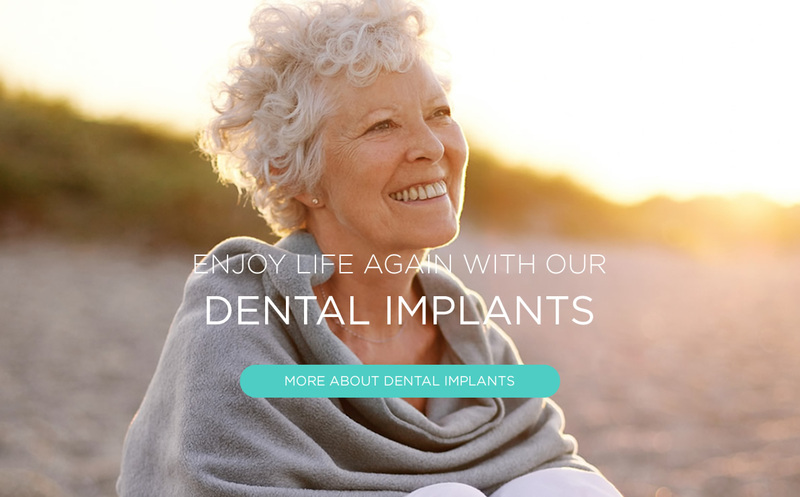 Painful and unsightly teeth can be removed and the implants placed in the same visit, allowing us to secure an aesthetic restoration that will have you smiling and eating straight away! 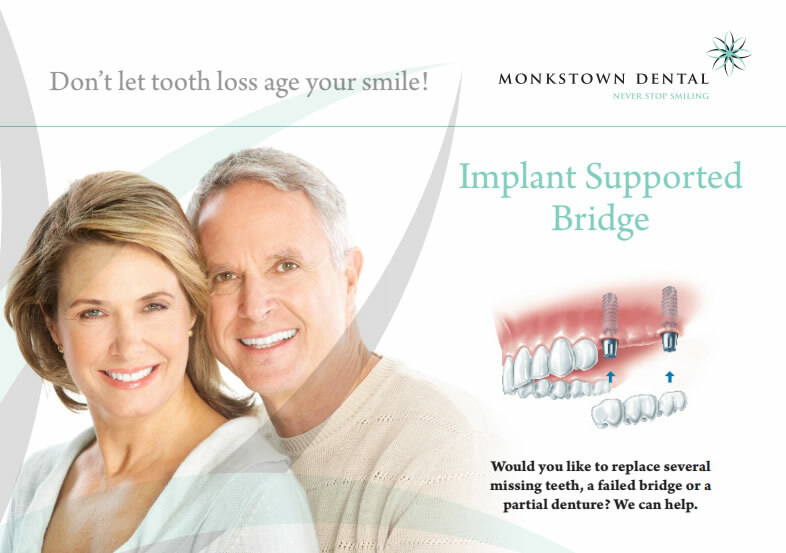 If you or a friend or family member has ill-fitting partial or full dentures, this may be the solution. 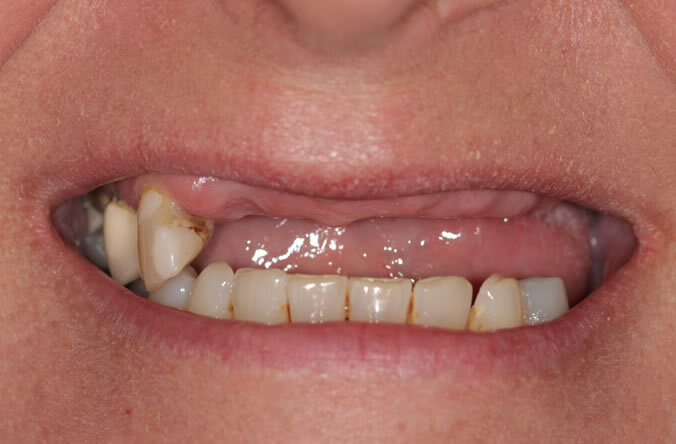 A consultation will ensure that you are suitable for this type of treatment. Your options will be discussed, and a comprehensive options pack produced for you. 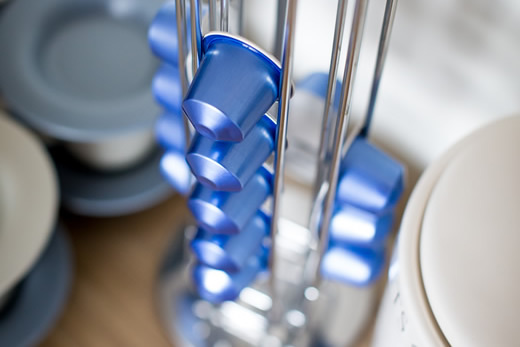 Philip will meet with you to ensure all your questions are answered and you understand each part of the process. Your case will be planned thinking of the final result from the very start. 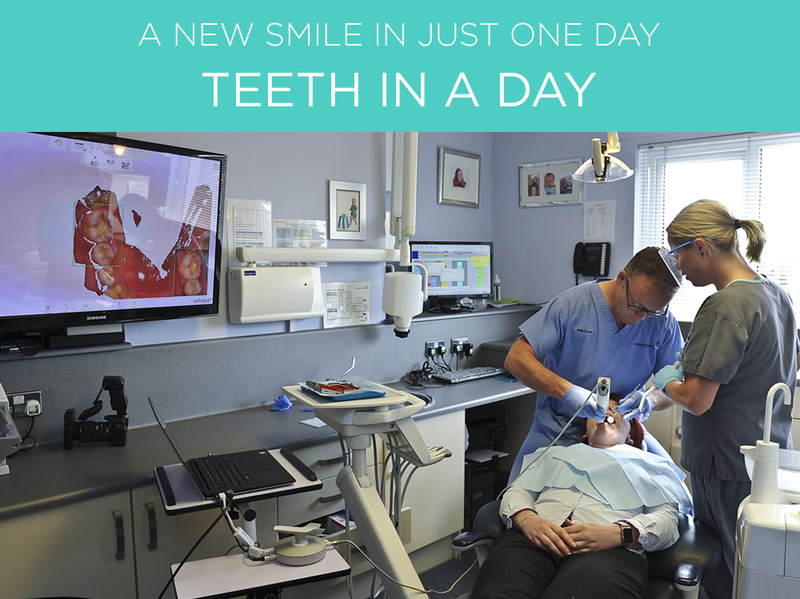 We will demonstrate what the teeth will look like in advance of progressing to ensure you are involved in the creation of your own smile. 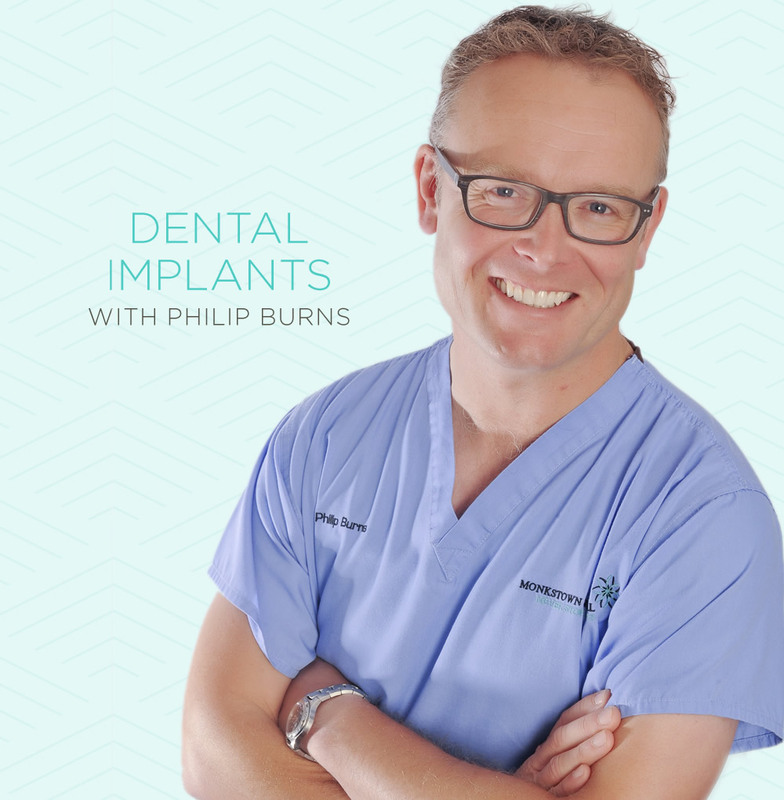 Placement of the implants will be carried out by Philip. 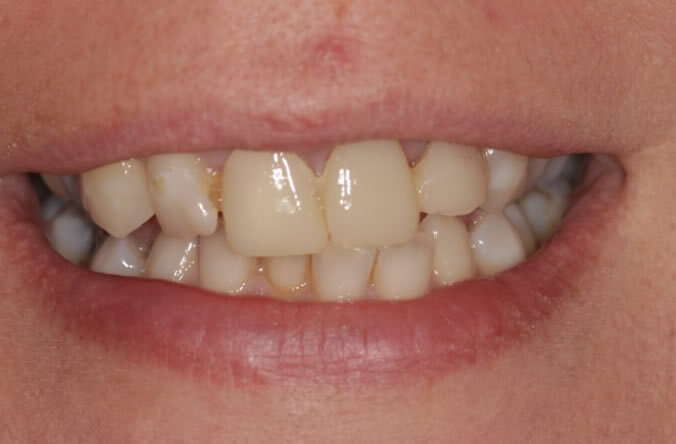 The temporary teeth will be provided by our technician who travels to us from England just to help in your case. You will leave at the end of the day with secure teeth that will no longer slip when you smile, move when you eat or dislodge when you talk. You can choose to be sedated for any of the treatment should you wish. 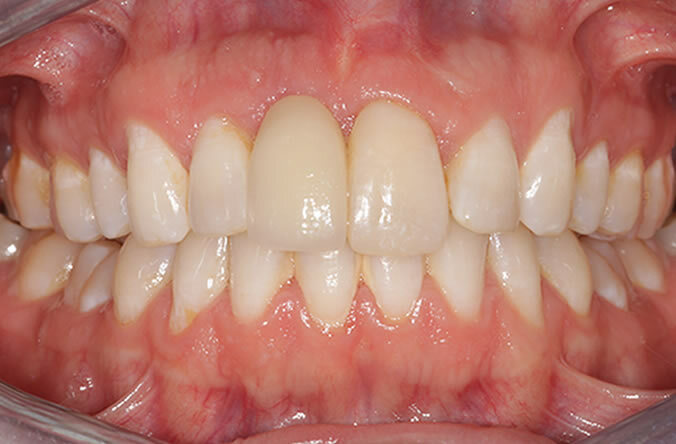 You will be reviewed over the coming weeks and months and at around the three months mark the transitional bridge will be changed for a high-end aesthetic solution. 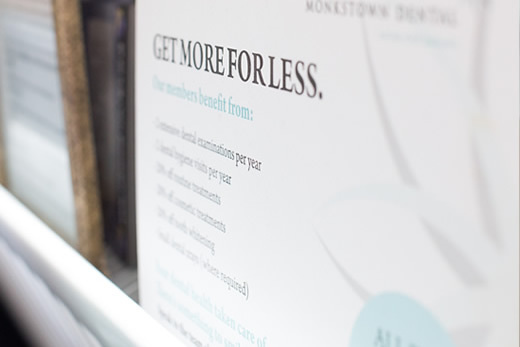 The months trialing the temporary teeth allow you to feedback your desires on size, shape, and colour. 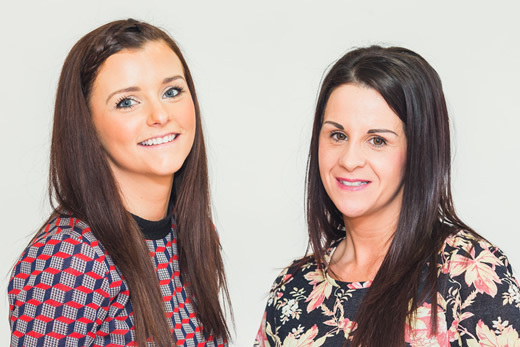 If you would like to refer your patient to see Philip Burns, please give us a call on 028 9086 3498 or fill in the details below and one of our team will get in touch with you. Because of the titanium screw bonds directly with your jaw it will last several years, if not a lifetime, when cared for properly. How well you look after your implants and attend regular maintenance appointments will ultimately make the difference on their longevity. 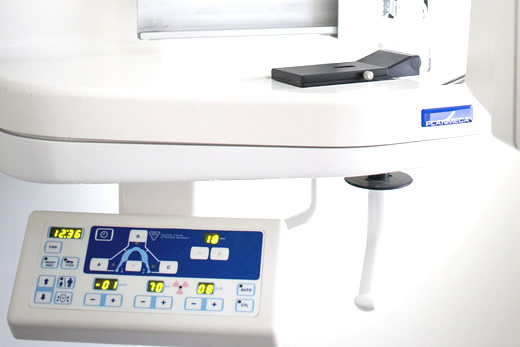 A local anaesthetic will be used so you shouldn’t feel any pain. However, as with any surgical procedure, you might feel some discomfort for a few days- usually due to the stitches and the effects of the normal healing process. Implants can only be placed once your jaw bone has fully matured and stopped growing so they are not practical for children. Apart from that, as long as there are no other significant risks there is no set age limit. Certain lifestyle choices- such as smoking or heavy drinking- or for people with a history of gum problems may not be ideal candidates. 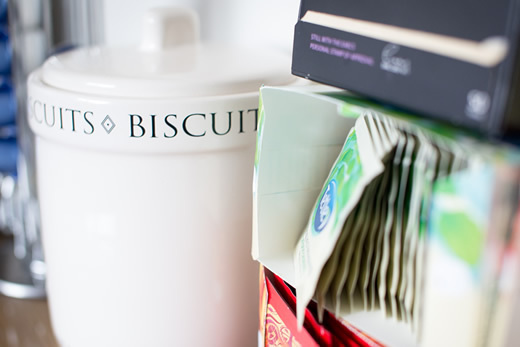 Of course, the best way to know is to simply make an appointment to talk about it with one of our experts. 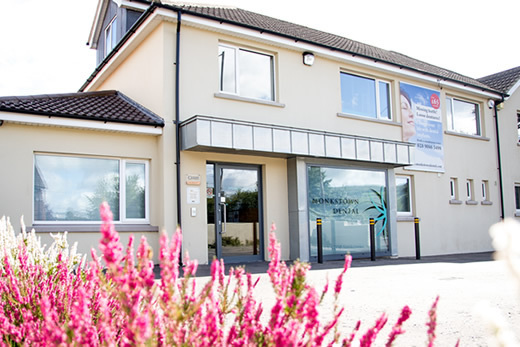 Many thanks to Mr Philip Burns of Monkstown Dental for the excellent work done regarding my dental implants; I was very impressed with the entire procedure starting with consultation, the expert advice given and finally the sucessful treatment. I thought your professional friendly manner and skill with which the work was carried out was indeed a credit to your hard work. I would have absolutely no hestitation in recommending your services to anyone needing this type of treatment.